Who’s up for a road trip? Anyone? Apparently I was. Lucky for Emma she just gets to tag along and hang out in the backseat checking for horses and cows. For quite some time, I have been wanting to get my mitts on some grass-fed beef from a local source since you don’t exactly know where it comes from in the store. And if you catch me in the right moment, I can be found ranting about how girls are getting their periods too darn early these days…at the tender age of seven! Yes, you read that right, seven. This is atrocious to me. I know there are multiple factors that go into why girls are getting them so young, but my thought is that part of it comes from the added hormones in milk and meat. I keep Emma milk free (we use almond or coconut milk) except for some cheese every now and then, but even that got me thinking that there’s still hormones in cheese. Shootfire! What’s a mouse girl supposed to do? I lovingly told my hubby we will pay the extra cost to get as much hormone-free meat as we can. I will be darned if Emma gets her period at five (seems like the rate it’s going)! As I’ve said before, Aunt Flow isn’t welcome in this home for another 10 years. I think Josh will be okay with that. This led me on a mission to buy local. My friends Alta, at Tasty Eats at Home, and Casey, at A Healthy Spin, both told me about a local Ranch that sells meat at a few Farmer’s Markets around Dallas. So Emma and I loaded up the car and took an adventure last week to pick up some grass-fed beef. 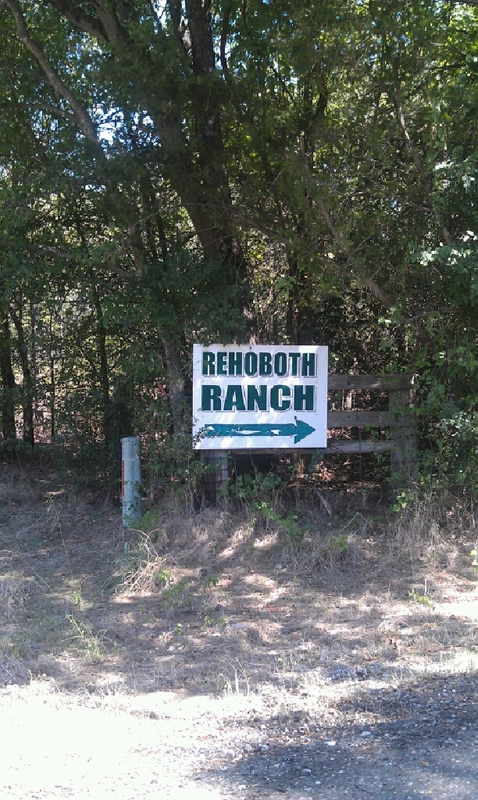 The name of the place is Rehoboth Ranch, located in Greenville, TX and after an hour and a half, we arrived. Please pardon the cell phone pictures. Our beef and lamb is raised on organically managed pasture forages only, NEVER GRAIN. Our poultry and pork are raised on organically managed pastures, and fed a custom mixed ration of ORGANIC grains and organic supplements. 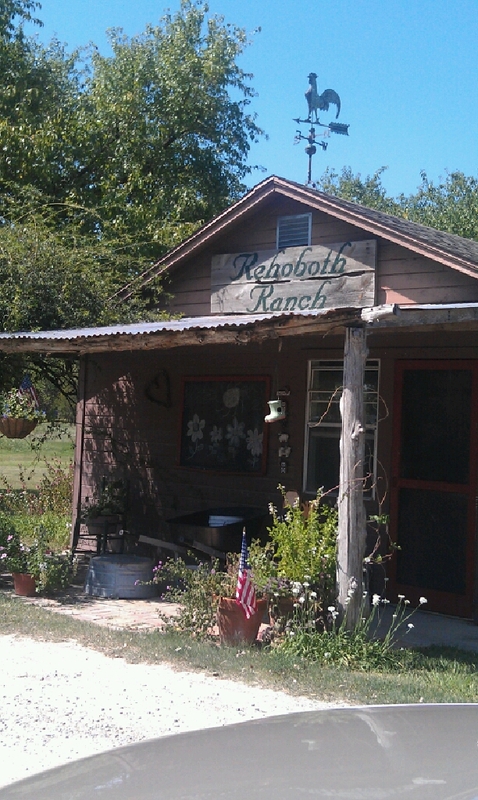 Beef, Lamb and Pork is processed at a USDA inspected custom processing facility, and poultry is processed at Rehoboth Ranch in Greenville, Texas 40 miles northeast of Dallas. Meats are also sold at the downtown Dallas Farmers Market, and at two area seasonal Farmers markets – Coppell and McKinney. After going to their website to see what to order and what was available, I learned they prefer pre-orders when doing a pickup. So I put my order in for 2 pounds of Ground Beef ($6.99/lb), 1 pound of Beef Breakfast Sausage ($7.69/lb), and 1 pound of Jalapeño & Cheddar Smoked Links ($8.99/lb). The prices were comparable to what I get at Sprouts so it didn’t put a huge dent in my budget. They do offer a tour once a month, on the first Tuesday, but we were unable to fit that in our schedule. And seeing how long it took to get there we probably would have been late. I was starting to panic because my gas was getting low, Emma had to pee, and I forgot the cooler. Seriously, I’d lose my head if it wasn’t attached! We did make it and sadly only saw a group of chickens and turkeys huddled under their coverings for some shade. I don’t blame them-it was toasty. I don’t have any pretty pictures to show you of our provisions, since it was all frozen, but I promise to post photos and recipes once they get thawed and cooked/grilled/sautéed/smoked/etc. 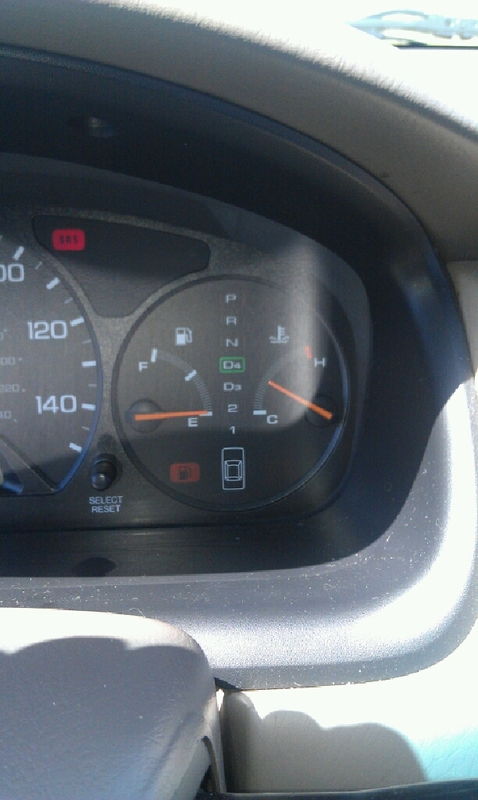 I will tell you I was worried we wouldn’t make it back since the closest gas station was in the next town. Luckily, just as I watched the low fuel light flash for the 3rd time, a station came into sight. Phew, that was close! It wasn’t an epic fail and I’m sure there will be others knowing me. What about you? Do you buy local or are you stuck in the middle of a booming metropolis? I definitely want to support my local farmers as much as I can and get into a routine of picking up our groceries on the weekend with the entire family.